Our local Oradell, NJ CPA Firm has staff on hand who specialize in providing accounting and tax services to the retail industry. Through years of experience, we've learned that retail businesses have additional demands in comparison to other industries like complex inventories, vendor management and more. Why just hire an accountant when you can work with a retail accountant who specializes in your line of work? We offer a variety of customized accounting solutions, so you can rely on us to have a personalized approach for your retail business. Cash flow is the single most important aspect of your business. Belbol & Associates will help regulate your cash flow for proper budgeting and projections - which is vital to proper inventory management. Belbol & Associates can help adjust balances per the books and bank and prepare necessary journal entries accordingly. Belbol & Associates will help establish, and manage, a processing workflow fit for your business needs. Belbol & Associates will record and classify your business transactions so that your financials are always up to date. 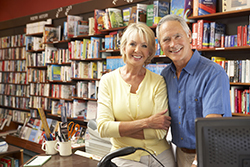 Want to learn more about our retail accounting services? Schedule your free initial consultation now or give us a call at 201-523-9442 today. We look forward to speaking with you!